Ashton Kutcher sent out a tweet, thanking those at the Sundance Film Festival for supporting his new movie Jobs which was premiered during the event. 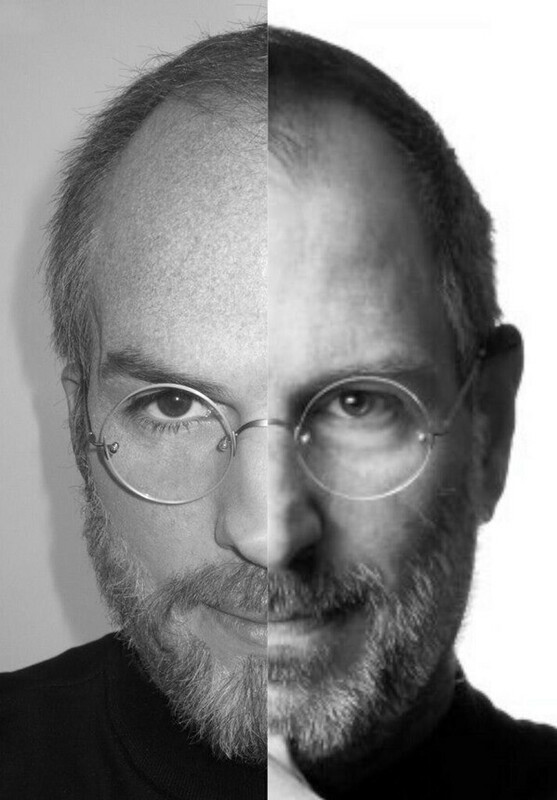 In his tweet, Kutcher added a picture showing the uncanny resemblance he has to Jobs, something that we have seen in leaked photos showing the Two and a Half Men star in character during the filming of the biopic. Which half is the real thing? As we told you on Saturday, reviews have been mixed for the film which is the first of two movies about Steve Jobs that will be released in 2013. Jobs deals with the life of the Apple co-founder from 1971 through 2001 and while it doesn't show the years following the release of the Apple iPhone when Apple became one of the most valuable companies on the planet, the movie does open with Jobs introducing the Apple iPod which was the first in a series of consumer products that made Apple what it is today. The other Steve involved in the story, Steve Wozniak, has said that the movie did not correctly portray his and Steve Jobs' personalities. The Woz said that it was he who had the future vision for the desktop computer. The opening scene of the film makes it seem as though Wozniak had built the computer as a hobby and that there would be no consumer demand for such a device. 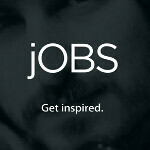 Jobs opens on April 19th. The second movie about the late executive is being written by West Wing creator Aaron Sorkin and early drafts of this movie also fail to include the Apple iPhone and Apple iPad in the script. This movie, which is untitled, is supposedly based on Walter Isaacson's biography of Steve Jobs. The lead role has yet to be cast for this movie. I think the lower case j on JOBS makes it look kinda dumb. I can see why they did it thought. Thats a direct reference to the iPHONE. The actual title has been changed, as we mentioned yesterday, to Jobs from jOBS which, as you noted, had been a reference to Apple's stylized spelling of its devices. Alan F.
Oh that was on purpose ... haven;t you heard "road" ? Thumbs up if you think the right side is the real side of the late Steve Jobs. And in copying, her perfectly captured the essence of Steve Jobs. The man was really in character. Oh, the man had personality. You can't deny that. There's good personality, and there's bad personality. But in public, he did have charisma. Everyone has personality, I agree that his personality is not average, but the bubble is really over inflated.